South Korea is most known for its pioneer work in the field of technology and internet. South Korea was the first country to implement 4G technology for its citizens. Keeping up the good work South Korea has now planned to launch 5G internet module. It is believed 5G will open a new world full of possibilities for new apps and services. It will provide features beyond imagination. The new upgrade will cost South Korea a whooping 1.5 billion USD. The generations in mobile telephony are mainly measured in terms of their upload and download speed. With 3G the downloading speed is approximately 500kb to 1 mb. 4G took the speed to next level. But 5G, you can’t even imagine the speed. Let me tell you, a whole movie can be downloaded without the blink of an eye. Yes, that’s true 5G will have speed nearly in the range of Gb. In 1990 first 2G technology service started. It was a big leap from 1G network. 2G brought digitization of mobile networks. 2G had very poor downloading speed but it opened the door for a world full of possibilities. In 2000 3G services were introduced. 3G had features like increased internet speed and video calling. Now downloading was much faster. Then in 2010 4G was launched. With the launch of 4G every thing about internet changed. Now common people also were able to use high speed internet. It connected millions of people with the online world. As if 4G was not enough, 5G services are being launched. It will increase the internet speed hundred times to that of 4G. South Korea will be the first country to launch 5G services. The scheduled plan for launch is set in 2017. It will be available for commercial purposes in 2020. Every country around the globe has indulged itself in developing 5G technology. 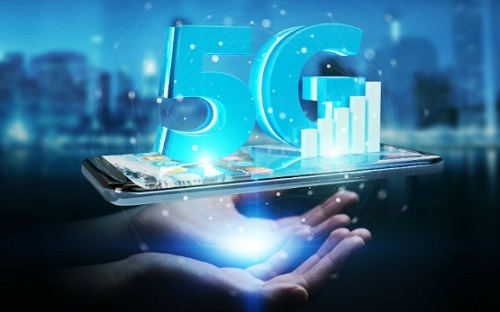 S.K Telecom, Korea Telecom, Samsung, LG have jumped into the race of developing 5G technology. This technology will include Ultra HD Playback and Hologram Transmission. Importance on integration of Social Networking is also on prime. Internet speed will be approximately close to GB. Uploading and downloading won’t be of slightest worry with downloads faster than blink of an eye. Feature like cloud computing which was once thought can be implemented only on Ethernet is now possible to implemented using 5G. 5G will have speed up to 800 MB per second while 4G provides speed of 20 to 30 MB. With downloading time reduced to second people traveling on even bullet train can download their favorite videos. This will fix the problem of user moving from one cell to another. Development of 5G technology is going at very rapid pace due to the possibilities it offers. Samsung has successfully conducted 5G testing in which they have successfully transferred 1GB data at a distance of 2km within few seconds. I guess we will have to wait this decade for getting our hands on 5G services.